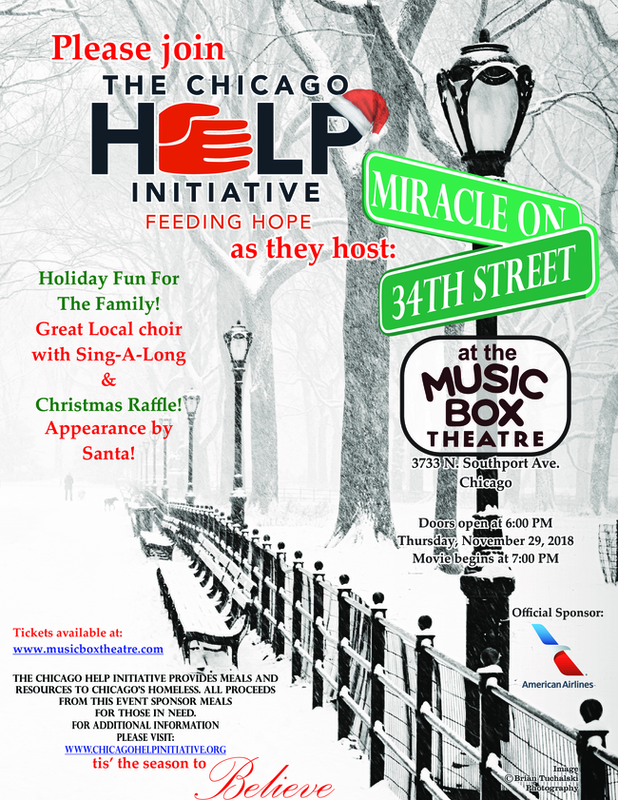 Please join The Chicago Help Initiative as they host the 3rd Annual “Miracle on 34th Street”. It’s holiday fun for the entire family with a sing-a-long, Christmas raffle and appearance from Santa! The Chicago Help Initiative provides meals and resources to Chicago’s homeless. All proceeds from the event sponsors meals for those in need.